Former Representative David L. Steelman of Rolla was appointed to the University of Missouri Board of Curators in 2014 by Gov. Jay Nixon. Steelman received a bachelor’s degree in economics from the University of Missouri-Columbia and graduated first in his class from the MU School of Law. Steelman is managing and senior partner at Steelman, Gaunt and Horsefield in Rolla, and has operated a law practice since 1978. He was elected to the Missouri House of Representatives in 1979 and served three terms. From 1981 to 1985, he was elected by colleagues to serve as minority floor leader. 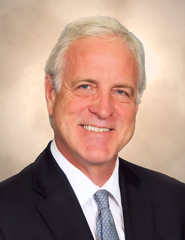 In addition to his law practice, Steelman currently serves on the board of directors for Town & Country Bank and previously served on the board of trustees for the Missouri Law Foundation and the Missouri State Employees Retirement System.